Low fitness is associated with a larger waist size and a higher degree of inflammation, according to a study published January 17, 2018 in the open-access journal PLOS ONE by Anne-Sophie Wedell-Neergaard from the University of Copenhagen, Denmark, and colleagues. Waist circumference can indicate the amount of excess fat found around the abdomen and previous studies have shown excess abdominal fat may increase the risk of chronic system inflammation and metabolic diseases. The authors of the present study sought to investigate the association between fitness and waist circumference as well as the association between fitness and low-grade inflammation, and whether there was a correlation with Body Mass Index (BMI). The researchers analyzed the previously collected data of 10,976 individuals from The Danish National Health Examination Survey 2007-2008. These individuals took a maximal oxygen uptake (VO2max) test to assess their physical fitness. Their waist circumference, weight and height were measured, and blood samples were taken to measure their level of C-reactive protein, a nonspecific biomarker of low-grade inflammation. The researchers found that higher levels of fitness were associated with a smaller waist circumference and a lower degree of inflammation independently of BMI. The researchers acknowledge that there are possible limitations that may affect the findings of the study, but overall the results suggest that increased fitness has the potential to reduce abdominal fat mass and inflammation which may improve metabolic health irrespective of BMI. 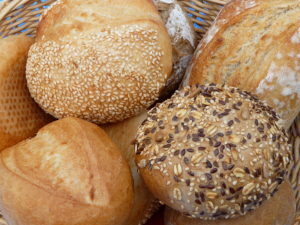 Another study has shown health benefits from eating a diet rich in whole grains, as compared to one with lots of refined grains (think bagels, muffins, white bread). Fifty overweight Danish adults were randomly assigned to either a group where all grains eaten were whole grains or a group where all grain products were of refined grains. They did this for 8 weeks, then ate their usual diet for a few weeks (the "washout period"), and then were assigned to the other dietary group for 8 weeks. They found that eating the diet rich in whole grains resulted in: consuming fewer calories (the whole grains made them feel fuller), losing weight, and a decrease in chronic low-grade inflammation (by measuring blood inflammation markers). The whole grain rye seemed to be especially beneficial. But interestingly, the researchers found that the whole grain diet did not significantly change the gut microbe composition. But they did find that 4 strains of Faecalibacterium prausntzii and one of Prevotella copri increased in abundance after whole grain and decreased after refined grain consumption. F.prausnitzii is a desirable and beneficial keystone species in the gut (here and here). When overweight adults exchange refined grain products -- such as white bread and pasta -- with whole grain varieties, they eat less, they lose weight and the amount of inflammation in their bodies decreases. These are some of the findings of a large Danish study headed by the National Food Institute, Technical University of Denmark. The study included 50 adults at risk of developing cardiovascular disease or type 2 diabetes. Blood tests showed that the participants had less inflammation in their bodies when eating whole grains. In particular, it appeared that rye had a beneficial effect on the blood's content of inflammatory markers. Inflammation is the natural response of the body to an infection, but some people have slightly elevated levels of inflammation (so-called low-grade inflammation) even though there is no infection. This is particularly the case in overweight people. In overweight people, an increased level of 'unnecessary' (subclinical) inflammation may lead to increased risk of developing type 2 diabetes. It's well known that regular physical activity has health benefits, including weight control, strengthening the heart, bones and muscles and reducing the risk of certain diseases. Recently, researchers at University of California San Diego School of Medicine found how just one session of moderate exercise can also act as an anti-inflammatory. The findings have encouraging implications for chronic diseases like arthritis, fibromyalgia and for more pervasive conditions, such as obesity. The study, recently published online in Brain, Behavior and Immunity, found one 20-minute session of moderate exercise can stimulate the immune system, producing an anti-inflammatory cellular response. The brain and sympathetic nervous system -- a pathway that serves to accelerate heart rate and raise blood pressure, among other things -- are activated during exercise to enable the body to carry out work. Hormones, such as epinephrine and norepinephrine, are released into the blood stream and trigger adrenergic receptors, which immune cells possess. This activation process during exercise produces immunological responses, which include the production of many cytokines, or proteins, one of which is TNF -- a key regulator of local and systemic inflammation that also helps boost immune responses. The 47 study participants walked on a treadmill at an intensity level that was adjusted based on their fitness level. Blood was collected before and immediately after the 20 minute exercise challenge. "Our study shows a workout session doesn't actually have to be intense to have anti-inflammatory effects. 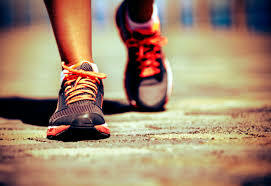 Twenty minutes to half-an-hour of moderate exercise, including fast walking, appears to be sufficient," said Hong. Inflammation is a vital part of the body's immune response. It is the body's attempt to heal itself after an injury; defend itself against foreign invaders, such as viruses and bacteria; and repair damaged tissue. However, chronic inflammation can lead to serious health issues associated with diabetes, celiac disease, obesity and other conditions. As we know, chronic inflammation is linked to cancer and other diseases. It is long-term persistent low-grade inflammation, and it has a "wear and tear" effect on the body. What causes chronic inflammation? Being overweight or obese, sedentary lifestyle, Western (low fiber, high processed foods and meat) diet, chronic illnesses, viruses or bacteria (e.g., gum disease), smoking, air pollution, stress, excessive alcohol intake. It often does not have symptoms, but doctors can test for C-reactive protein levels (CRP), which increase when the body is inflamed. So you absolutely want to lower chronic inflammation if you can. High dietary intake of fruits and vegetables, which are rich in polyphenols, has been linked through many studies with reduced risk for diseases that are associated with chronic inflammation, such as cardiovascular disease, type II diabetes, cancers, Alzheimer’s disease, and Parkinson’s disease. Polyphenols are a class of chemicals or micronutrients found in many foods, especially fruits and vegetables. New research looked at 31 polyphenols (alone and in some mixtures) to see which lowered inflammation the most. They found that some mixtures of polyphenols actually had more than an additive effect - that it's more than a sum of the individual polyphenols. They found that the polyphenols resveratrol, isorhamnetin, and curcumin were the most anti-inflammatory. Isorhamnetin is a flavonol that occurs in apples, onions and green tea; curcumin is from the Indian spice turmeric; and resveratrol is present in the skin of red, purple and black grapes, and in especially high concentrations in Itadori tea (from Japanese knotweed). Another important anti-inflammatory polyphenol is vanillic acid, which is found in vanilla, wine, whole wheat, and berries. What foods can help fight the risk of chronic inflammation? A new study by the University of Liverpool's Institute of Ageing and Chronic Disease has identified food stuffs that can help prevent chronic inflammation that contributes to many leading causes of death. Inflammation occurs naturally in the body but when it goes wrong or goes on too long, it can trigger disease processes. Uncontrolled inflammation plays a role in many major diseases, including cancer, heart disease, diabetes and Alzheimer's disease. Diets rich in fruits and vegetables, which contain polyphenols, protect against age-related inflammation and chronic diseases. Polyphenols are abundant micronutrients in our diet, and evidence for their role in the prevention of degenerative diseases such as cancer and cardiovascular diseases is already emerging. The health effects of polyphenols depend on the amount consumed and on their bioavailability. T-cells, or T-lymphocytes, are a type of white blood cell that circulate around our bodies, scanning for cellular abnormalities and infections. They contribute to cell signalling molecules (cytokines) that aid cell-to-cell communication in immune responses and stimulate the movement of cells towards sites of inflammation, infection and trauma. 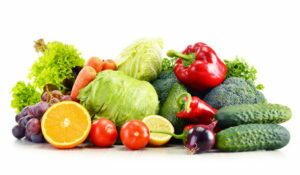 Cytokines are modulated by fruit and vegetable intake. The study, conducted by Sian Richardson and Dr Chris Ford from the University's Institute of Ageing and Chronic Disease, examined the different potencies of the polyphenols. Sian Richardson, said: "The results of our study suggest that (poly)phenols derived from onions, turmeric, red grapes, green tea and açai berries may help reduce the release of pro-inflammatory mediators in people at risk of chronic inflammation. "Older people are more susceptible to chronic inflammation and as such they may benefit from supplementing their diets with isorhamnetin, resveratrol, curcumin and vanillic acid or with food sources that yield these bioactive molecules." Can Exercise Slow Cancer Growth? Author SimaPublished on February 17, 2016 March 28, 2018 Leave a comment on Can Exercise Slow Cancer Growth? Some studies with humans suggest that cancer growth is slowed with exercise, better cancer prognosis with regular exercise, and lowered cancer recurrence (e.g., exercise after prostate cancer diagnosis), but this study looked at the issue more in depth. Yes, it was done in mice, but this way mice could be randomly assigned to different treatments (including various cancers - both fast and slow growing ones) and conditions in ways you can't with humans. 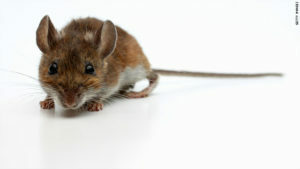 Here's one more benefit of exercise: mice who spent their free time on a running wheel were better able to shrink tumors (a 50% reduction in tumor size) compared to their less active counterparts. Researchers found that the surge of adrenaline that comes with a high-intensity workout helped to move cancer-killing immune (NK) cells toward lung, liver, or skin tumors implanted into the mice. The study appears Feb. 16, 2016 in Cell Metabolism. "It is known that infiltration of natural killer (NK) immune cells can control and regulate the size of tumors, but nobody had looked at how exercise regulates the system," says senior study author Pernille Hojman, at the University of Copenhagen. "In our experiments, we tried to inject our mice with adrenaline to mimic this increase you see during exercise, and when we do that we see that the NK cells are mobilized to the bloodstream, and if there's a tumor present then the NK cells will find the tumor and home to it." Hojman and her colleagues next used mice depleted of NK cells to show that the increase in number of NK cells at the site of the tumor was directly contributing to the reduction in size. Even with exercise and a full suite of other immune cells, without the NK cells these mice experienced the normal rate of cancer growth. Blocking the function of adrenaline also blunted the cancer-killing benefits of the running wheel. The research group also discovered that an immune signaling molecule called IL-6 was the link between adrenaline-dependent mobilization of NK cells and tumor infiltration. It's known that IL-6 is released from muscle tissue during exercise, but Hojman presents evidence that adrenaline specifically hails IL-6 sensitive NK cells and that the IL-6 molecules helped guide the immune cells to the tumors. Published on February 17, 2016 March 28, 2018 Categories cancer, ExerciseTags chronic inflammation, immune signaling molecule IL-6, immune system, natural killer (NK) immune cells, shrinking tumors, vigorous physical activityLeave a comment on Can Exercise Slow Cancer Growth? Some recent studies looked at aspirin use and cancer and found that consistent use for a number of years (5 to 10 years) lowers the rate of a number of cancers, including colon cancer. However, the longer one takes daily aspirin - then harms start adding up, with a major one being gastrointestinal bleeding. NSAIDs (non-steroidal anti-inflammatory drugs) are also linked to lower rates of various cancers, but harms with long-term use are cardiovascular risks (stroke and heart attack). The first article discusses that many doctors think this lower cancer rate occurs because aspirin and NSAIDs lower inflammation, and as we know, inflammation is linked to cancer. Research has shown that a regular dose of aspirin reduces the long-term risk of cancer in those who are overweight in an international study of people with a family history of the disease....They found that being overweight more than doubles the risk of bowel cancer in people with Lynch Syndrome, an inherited genetic disorder which affects genes responsible for detecting and repairing damage in the DNA. Around half of these people develop cancer, mainly in the bowel and womb. However, over the course of a ten year study they found this risk could be counteracted by taking a regular dose of aspirin. Lots of people struggle with their weight and this suggests the extra cancer risk can be cancelled by taking an aspirin.This research adds to the growing body of evidence which links an increased inflammatory process to an increased risk of cancer. Obesity increases the inflammatory response. One explanation for our findings is that the aspirin may be suppressing that inflammation which opens up new avenues of research into the cause of cancer." When they were followed up ten years later, 55 had developed bowel cancers and those who were obese were more than twice as likely to develop this cancer -- in fact 2.75 times as likely. Following up on patients who were taking two aspirins a day revealed that their risk was the same whether they were obese or not....What is surprising is that even in people with a genetic predisposition for cancer, obesity is also a driver of the disease. 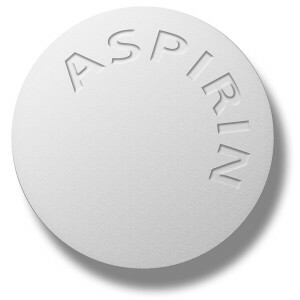 The researchers believe the study shows that aspirin is affecting an underlying mechanism which pre-disposes someone to cancer and further study is needed in this area. Since the benefits are occurring before the very early stages of developing a tumour -- known as the adenoma carcinoma sequence -- the effect must be changing the cells which are predisposed to become cancerous in later years. ...continue reading "Aspirin and Cancer"
For the first time, researchers at Fred Hutchinson Cancer Research Center have found that weight loss, in combination with vitamin D supplementation, has a greater effect on reducing chronic inflammation than weight loss alone. Chronic inflammation is known to contribute to the development and progression of several diseases, including some cancers. "We know from our previous studies that by losing weight, people can reduce their overall levels of inflammation, and there is some evidence suggesting that taking vitamin D supplements can have a similar effect if one has insufficient levels of the nutrient," said lead and corresponding author Catherine Duggan, Ph.D., a principal staff scientist in the Public Health Sciences Division at Fred Hutch. To explore this question, Duggan and colleagues recruited 218 healthy, overweight older women who had lower-than-recommended levels of vitamin D (less than 32 ng/mL). The women then took part in a 12-month diet and exercise program (including 45 minutes of moderate-to-vigorous exercise five days a week). Half of the study participants were randomly selected to receive 2,000 IU of vitamin D daily for the duration of the year-long trial, and the other half received an identical-appearing placebo, or dummy vitamin. At the end of the study, all of the participants had reduced levels of inflammation, regardless of whether they took vitamin D, "which highlights the importance of weight loss in reducing inflammation," Duggan said. However, those who saw the most significant decline in markers of inflammation were those who took vitamin D and lost 5 to 10 percent of their baseline weight. These study participants had a 37 percent reduction in a pro-inflammatory cytokine called interleukin-6, or IL-6, as compared to those in the placebo group, who saw a 17.2 percent reduction in IL-6. The researchers found similar results among women in the vitamin D group who lost more than 10 percent of their starting weight. While IL-6 has normal functions in the body, elevated levels are associated with an increased risk of developing certain cancers and diabetes and may be implicated as a cause of depression, Duggan said. Inflammation occurs when the body is exposed to pathogens, such as bacteria or viruses, which puts the immune system in overdrive until the "attack" ceases and the inflammatory response abates. Overweight or obese people, however, exist in a state of chronic inflammation. This sustained upregulation of the inflammatory response occurs because fat tissue continually produces cytokines, molecules that are usually only present for a short time, while the body is fighting infection, for example. "It is thought that this state of chronic inflammation is pro-tumorigenic, that is, it encourages the growth of cancer cells," she said. There is also some evidence that increased body mass "dilutes" vitamin D, possibly by sequestering it in fat tissue. "Weight loss reduces inflammation, and thus represents another mechanism for reducing cancer risk," Duggan said. "If ensuring that vitamin D levels are replete, or at an optimum level, can decrease inflammation over and above that of weight loss alone, that can be an important addition to the tools people can use to reduce their cancer risk." You can't live without inflammation, but it can also be hazardous to your health. You’ve heard of anti-inflammatory medications and anti-inflammatory diets, but do you really know what inflamation is? In short, it’s the body’s response to outside threats like stress, infection, or toxic chemicals. When the immune system senses one of these dangers, it responds by activating proteins meant to protect cells and tissues. “In a healthy situation, inflammation serves as a good friend to our body,” says Mansour Mohamadzadeh, PhD, director of the Center for Inflammation and Mucosal Immunology at the University of Florida.” “But if immune cells start to overreact, that inflammation can be totally directed against us.” This type of harmful, chronic inflammation can have a number of causes, including a virus or bacteria, an autoimmune disorder, sugary and fatty foods, or the way you handle stress. Here are a few ways it can affect your health, both short-term and long. It fights infection.Inflammation is most visible (and most beneficial) when it’s helping to repair a wound or fight off an illness...It prepares you for battles Another type of inflammation occurs in response to emotional stress. Instead of blood cells rushing to one part of the body, however, inflammatory markers called C-reactive proteins are released into the blood stream and travel throughout the body. It can harm your gut Many of the body’s immune cells cluster around the intestines, says Denning. Most of the time, those immune cells ignore the trillions of healthy bacteria that live in the gut. “But for some people, that tolerance seems to be broken,” says Denning, “and their immune cells begin to react to the bacteria, creating chronic inflammation.” The immune cells can attack the digestive tract itself, an autoimmune condition known as inflammatory bowel disease (IBD), which includes ulcerative colitis and Crohn’s disease. It can harm your joints When inflammation occurs in the joints, it’s can cause serious damage. One joint-damaging condition is rheumatoid arthritis(RA)—another example of an autoimmune disorder that appears to have a genetic component, but is also linked to smoking, a lack of vitamin D, and other risk factors. It’s linked to heart disease Any part of your body that’s been injured or damaged can trigger inflammation, even the insides of blood vessels. The formation of fatty plaque in the arteries can trigger chronic inflammation. The fatty plaques attract white blood cells, grow larger, and can form blood clots, which can cause a heart attack.Obesity and unhealthy eating increases inflammation in the body. It’s linked to a higher risk of cancer Chronic inflammation has been linked to cancers of the lung, esophagus, cervix, and digestive tract, among others..The inflammation may be due to obesity, a chronic infection, a chemical irritant, or chronic condition; all have been linked to a higher cancer risk....It may sabotage your sleep In a 2009 study from Case Western Reserve University, people who reported sleeping more or less than average had higher levels of inflammation-related proteins in their blood than those who said they slept about 7.6 hours a night. It’s bad for your lungs When inflammation occurs in the lungs, it can cause fluid accumulation and narrowing of the airways, making it difficult to breathe...Smoking, exposure to air pollution or household chemicals, being overweight, and even consumption of cured meats have been linked to lung inflammation... It damages gums Inflammation can also wreak havoc on your mouth in the form of periodontitis, a chronic inflammation of the gums caused by bacteria accumulation. It makes weight loss more difficult Obesity is a major cause of inflammation in the body, and losing weight is one of the most effective ways to fight it. But that’s sometimes easier said than done, because elevated levels of inflammation-related proteins can also make weight loss more difficult than it should be.... Inflammation can also increase insulin resistance (which raises your risk for diabetes) and has been linked with future weight gain. Vaccines or High Fever to Prevent Cancers? Campbell de Morgan’s observation that remissions sometimes occurred after post-operative streptococcal infections inspired some workers to undertake the risky procedure of deliberately inducing erysipelas in cancer patients. Subsequently, an American surgeon, William Coley, developed bacteria-free extracts of streptococci and other bacteria (“Coley toxins”) and reported their successful use in the therapy of cancers, especially sarcomas, between 1881 and 1936 . Unfortunately Coley, a mild mannered and unassuming gentleman, did not adhere to rigorous scientific protocols in his studies and he was marginalized by forceful personalities advocating radiotherapy. Notwithstanding, an analysis of his results with cancer deemed inoperable undertaken in 1994 revealed a remission rate of 64% and a five-year survival rate of 44%, results equal to or better than those with modern therapies . The relationship between infection, and associated inflammation, and cancer is a complex and paradoxical one and there are several well described examples of cancer being the direct consequence of infection . Around 2 million of the 12.7 million new cancer cases worldwide in 2008 (16.1%) were assumed to be related to infection, principally Helicobacter pylori, hepatitis viruses, and the human papilloma virus, with a higher proportion in developing countries (22.9%) than in developed ones (7.4%) . The large majority of cases of cancer, especially those in the developed nations, are therefore not caused by infection – on the contrary, there is growing evidence that a history of certain infections and environmental exposure to certain populations of micro-organisms, as well as some types of vaccination, may induce patterns of immune reactivity that reduce the risk of at least some cancers. A study of an adult population in Italy demonstrated an association between a history of common childhood infectious diseases (measles, chickenpox, rubella, mumps and pertussis) and the risk of developing chronic lymphatic leukaemia (CLL), with a strong inverse relationship between the risk of CLL and the number of infections (p = 0.002) . In the 1990s Kölmel and colleagues established a working group – Febrile Infections and Melanoma (FEBIM) – within the European Organization for Research and Treatment of Cancer (EORTC). Based on a pilot study  this group undertook a series of studies to establish the relationship between the risk for developing melanoma and a history of, initially, infectious diseases , and, subsequently, also of vaccinations [81,82]. In the first report of the FEBIM group a significant level of protection against melanoma in those with a history of certain severe infections (sepsis, Staph. aureus infection, pneumonia, pulmonary tuberculosis) with fever of over 38.5°C was demonstrated . It should, however, be noted that these apparently melanoma-protective infectious diseases have become rare in the industrialized nations. It is claimed that, as a result of recent observational studies, measures for prevention of some malignancies such as melanoma and certain forms of leukaemia are already at hand: vaccination with Bacille Calmette-Guérin (BCG) of new-borns and vaccination with the yellow fever 17D (YFV) vaccine of adults. While the evidence of their benefit for prevention of malignancies requires substantiation, the observations that vaccinations with BCG and/or vaccinia early in life improved the outcome of patients after surgical therapy of melanoma are of practical relevance as the survival advantage conferred by prior vaccination is greater than any contemporary adjuvant therapy. Plant Based Diet for a Healthy Microbiome? With research mounting on the onslaught the body’s microbiota take from human eating patterns and the environment, making choices to maintain inner ecosystem health is essential, according to presenters at the American Association of Diabetes Educators Annual Meeting. Choosing a plant-based diet is one way people can increase the diversity of bacteria in their biome, reduce inflammation and begin to reverse the diseases processes involved in obesity and diabetes — often in just a few days. Weighing at least two kilograms in all and accounting for more than 3 times the amount of the body’s human cells, gut bacteria is colonized after birth, stabilized by age 3 years but influenced by a number of external factors, Jardine explained. Areas of influence include nutrition and immune function, both priorities in treating obesity and diabetes. People who consume plant-based diets have “healthy” gut microbiota in terms of global parameters and functional and compositional features, Christina Kafity, RN, BSN,CHC... “Children and elderly individuals who consumed more plant carbohydrates versus the typical standard American diet had rapid, reproducible alterations of the gut microbiota for the better, and this happened within 24 hours to a week,” Kafity said. Growing good bacteria depends on creating an environment in which they can thrive, Kafity explained, including choosing foods that contain certain fibers intact in plants and probiotics; among them are soluble, insoluble and functional fibers as well as psyllium and inulin.